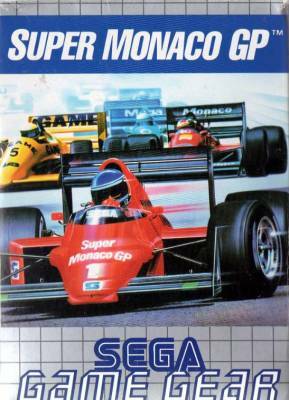 Super Monaco GP (スーパーモナコＧＰ) / G.P. Mônaco - Games - SMS Power! Original release, 671-0680. Text on the back of the box is black. Reprint, 671-0680-01. Text on the back of the box is blue.